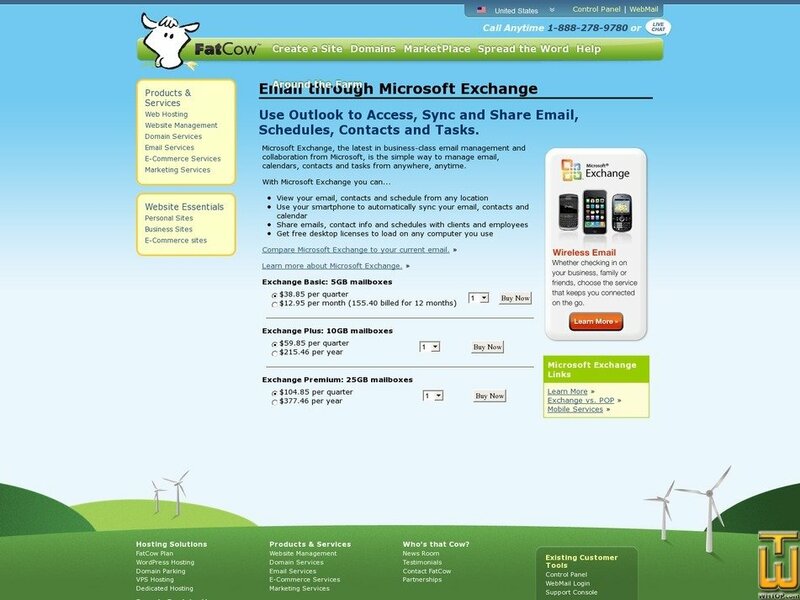 Exchange Basic: 5GB mailboxes > fatcow.com, #59262, USD 12.95/mo. Plan #59262, Exchange Basic: 5GB [...], $ 12.95/mo. See also original Exchange Basic: 5GB mailboxes plan location on their website!